Blueberry Violet Truffle is a fruity-floral gourmand perfume featuring notes of cocao, deep fresh blueberry, soft and slightly powdery wild purple violets, tonka bean and vanilla. The perfume opens with violet and chocolate but is quickly followed by the blueberry accord. This accord contains a blend of natural and synthetic components, including natural isolates and a fantastic davana essential oil full of fruity blueberry-like nuances tinged with a hint of sun-dried herbs. Blueberry Violet Truffles smells cool-toned, purple and very sweet. The tonka and vanilla come out in the heart and drydown, which features a violet pastille or hard candy note. A very fine coumarin-rich French lavender absolute is used judiciously to enhance the blueberry accord and tie it seamlessly to the violet. The chocolate is well-blended and does not overshadow the other notes. 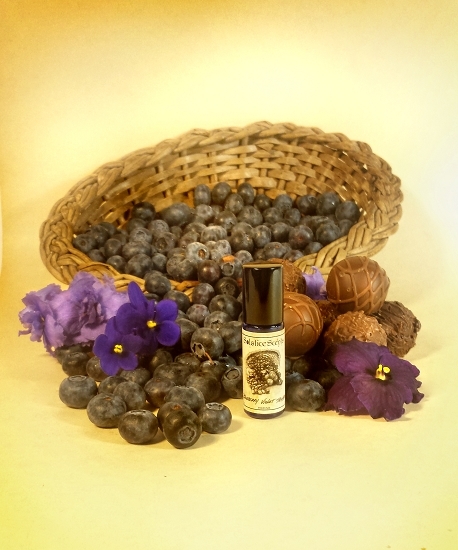 This perfume shares no resemblance to our Violet Truffle fragrance, which is darker, more earthy and damp violets with a strong primarily synthetic chocolate blend. 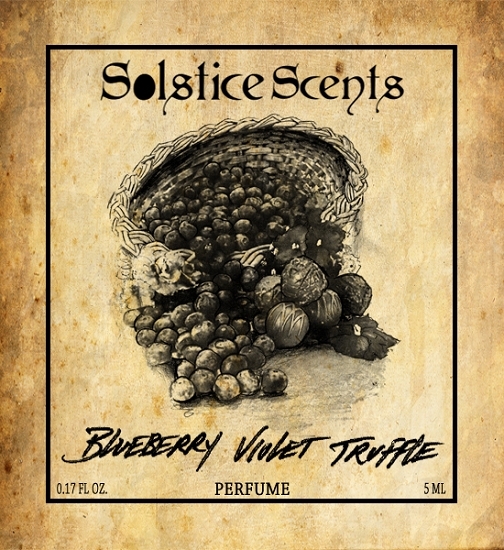 Blueberry Violet Truffle follows in the tradition of the Lavender Raspberry Truffle and Pinyon Truffle perfumes, which are also on a base of cocao absolute, vanilla and tonka. 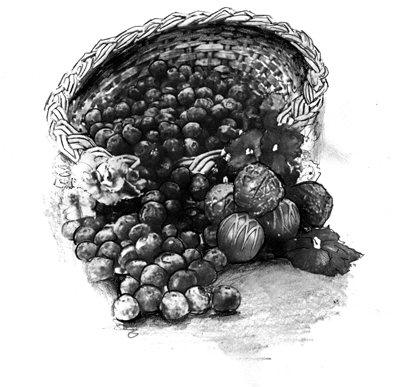 The violet note is closer to the violet in Violet Mallow, though not as strong. It is light, airy, fresh, slightly powdery and a little green. This perfume is organic cane sugar alcohol based.